RL 3.0-4.0. 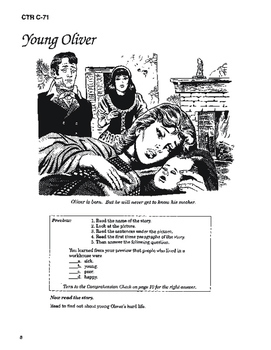 In this eBook PDF DOWNLOAD the original classic novel is retained yet condensed into 10 short chapters with student activities after each chapter and answer keys in the back of the book. 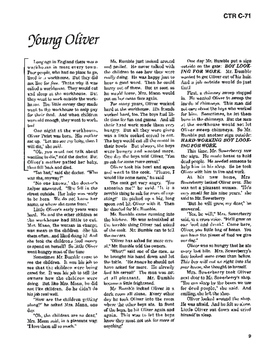 This high-interest low-readability title is appropriate for all ages. 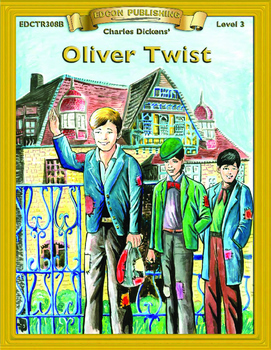 Introduce students to great classic literature while improving comprehension, vocabulary and fluency. Each complete adapted novel includes 100 comprehension questions, 60 vocabulary exercises in modified CLOZE format, exciting illustrations and preview questions for every chapter. Reading levels were developed and measured by the Fry Readability Scale and written using McGraw-Hill’s controlled vocabulary. Bring the Classics to Life is a series of 50 leveled classic titles provided as PDF eBooks, EPUBs and corresponding audiobook MP3’s. EDCON Publishing Group offers teachers hundreds of e-products in digital format to improve basic skills development.